The Daytona name has been synonymous with speed since racers set land speed records at this coastal Florida town’s flat, hard packed beaches in the early 20th Century. 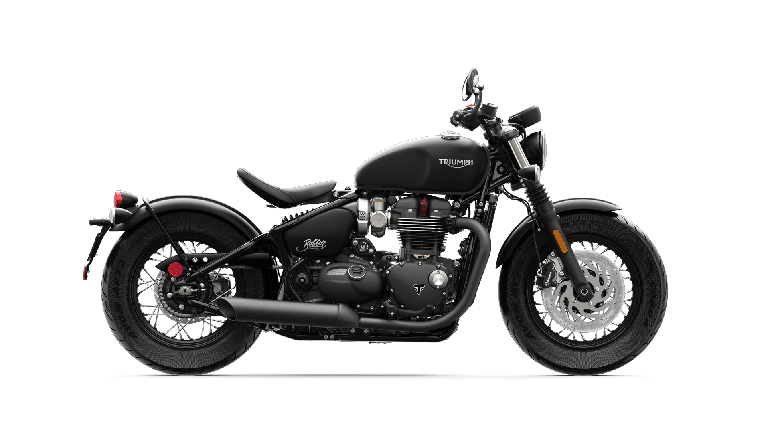 The Triumph name has been synonymous with speed since Big D Cycles, a Triumph dealer in Texas, set the overall motorcycle land speed record with a Triumph in the 1950s. It was when the most famous race in motorcycling, the Daytona 200, was moved from the beach to the high-banked Daytona International Speedway in 1961 that these two iconic names became forever linked. Triumph rider Don Burnett finished second in that inaugural race at the Speedway and returned in 1962 to became the first Triumph racer to win. Burnett’s performance showcased the power, reliability and overall performance of Triumph’s 500cc parallel twin. In 1966, Buddy Elmore won the Daytona 200 on his Tiger 100 with a then-incredible average speed of 96.9mph. It was his victory that prompted the first production Triumph motorcycle with the Daytona name, the 1967 Tiger T100R Daytona. Gary Nixon backed up Elmore’s win with a victory in 1967 and Elmore finished second as they completed the race a full lap ahead of the third place finisher. From this success, Triumph introduced its inline triple engines in 1969 with high spec frames by famed engineer Rob North. Triumph’s Daytona was extraordinarily successful and heralded as the era’s leading supersport motorcycle with Gene Romero and Paul Smart capturing pole positions at Daytona aboard the new machine. This heritage was rekindled in 1990 when John Bloor returned Triumph to the world stage. Two Daytona models were among the first six modern Triumph motorcycles. The Daytona legacy, with its uniquely Triumph inline triple engine, was reborn as a cornerstone of the new Triumph brand. It was onboard this motorcycle that, more than 50 years after Burnett’s victory, Danny Eslick and the Riders Discount Triumph team became the first Triumph to win the Daytona 200 from the pole position. In addition, 2011 Daytona 200 Champion Jason DiSalvo turned the fastest lap of the race and four of the race’s Top 10 finishers rode a Daytona. See all of the results here. See how DiSalvo and Elena Myers, the first woman to win a professional motorsports event of any kind at Daytona International Speedway prepared for the 2014 Daytona 200. Watch the video.